Latest Products Corporation is pleased to announce another new linen carts to what is already the largest selection of laundry carts available in the industry today. Our all-new ergonomic model 72L and 72N carts have a wider, lower “U” cutout than our standard bulk delivery carts for even easier access to goods in the bottom and corners of the cart with less bending and reaching. The wide opening spans nearly the entire width of the cart! To secure folded, stacked goods during movement, or for over-the-road transport, model 72N comes with netting that simply snaps onto the edge of the opening. Choose from 17 colors or choose our recycled polymer for additional cost savings. 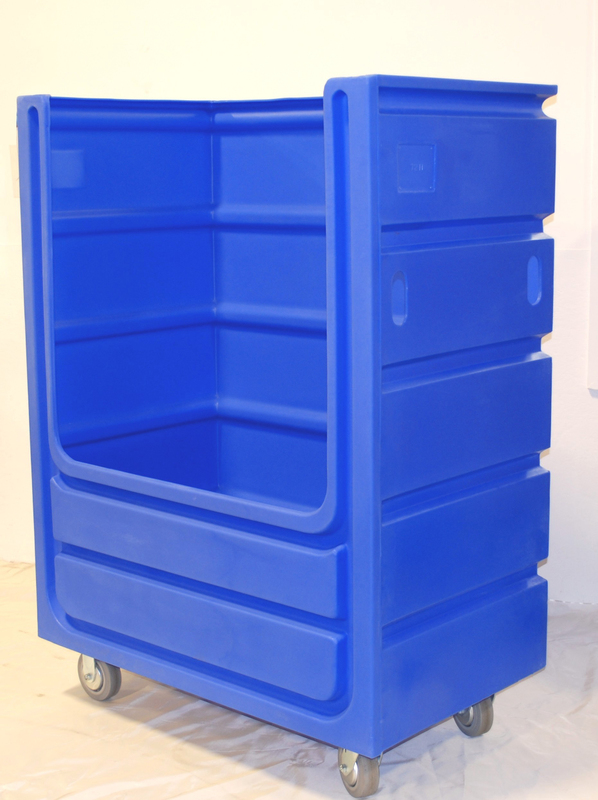 Carts manufactured from waterproof, chemical resistant polyethylene.